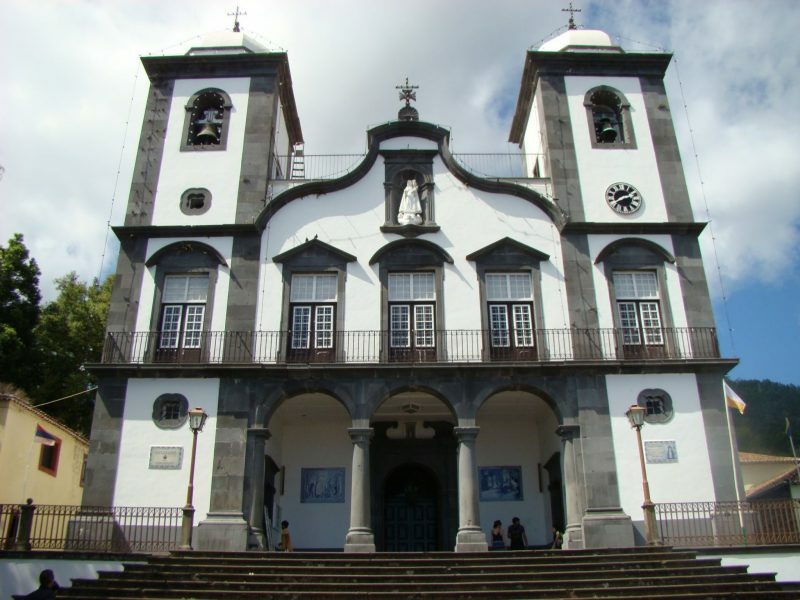 Monte is one of the parishes of Funchal, Madeira’s capital city. It is rather small but definitely well worth a visit. 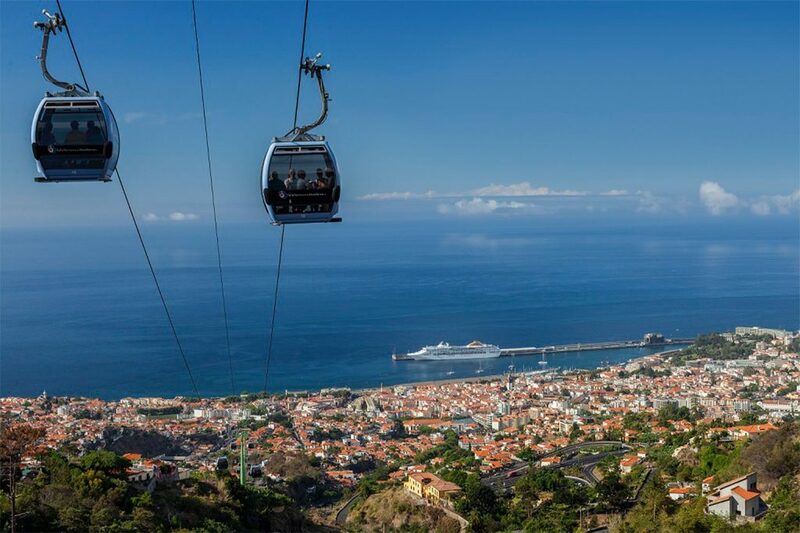 One of the easiest ways to reach Monte is to the take the cable car from downtown Funchal (in the old part of Funchal). If you have not already done so, take some time to visit the old Funchal with its cosy streets and its painted doors. The cable car departs from Parque Almirante Reis, next to the electricity museum and takes you 550 meters above sea level. While you climb towards Monte, look around and enjoy the stunning view over the bay of Funchal. 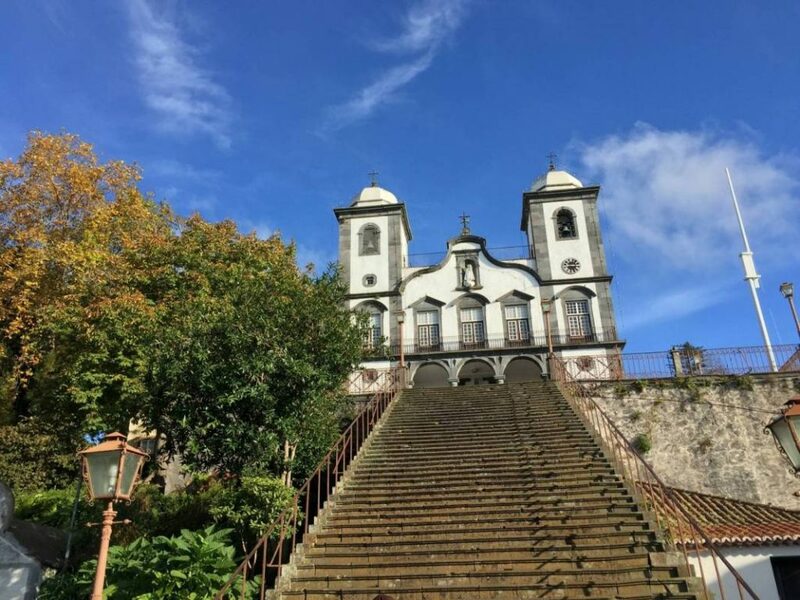 Once you exit the cable car, you can either follow the road and visit the municipal gardens and the Igreja de Nossa Senhora do Monte or easily access the Monte Palace Tropical Garden, one of Madeira’s most beautiful gardens. If you decide to start with the Monte Palace Tropical Garden, take some time and meander around the beautifully designed garden enjoying the richness of the flora, the oriental gardens and the beautiful views. Do not forget to visit the mineral and African sculpture exhibitions and to admire the beautiful murals and azulejos. Should you decide to follow the road around the bend, you will arrive at the emblem of Monte – its church in the honor of Our Lady of Monte. It is easily recognizable with it’s twin towers and majestic staircase. 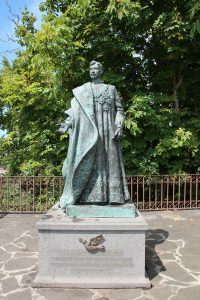 On the churchyard you are greeted by an imposing statue of Charles Habsburg to the left, the last Austrian Emperor. He sadly passed away on April 1st, 1922 while living in exile in Monte. 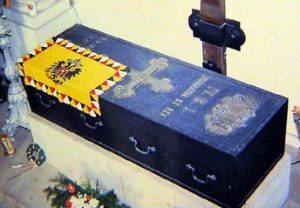 His coffin rests in plain view on a stone block in a side chapel inside the church as you enter to the left. 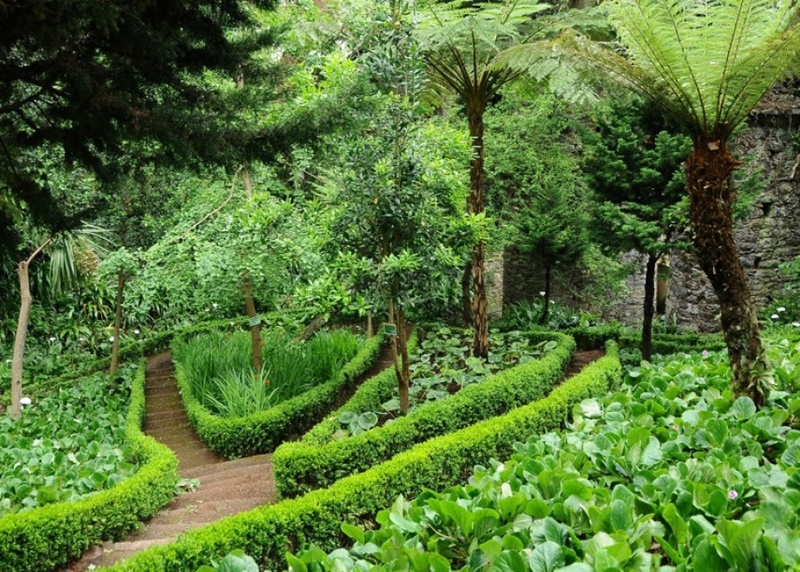 Next to the church lays the beautiful Monte Municipal Garden which invites you for a stroll. Ancient trees and an idyllic landscape make it a romantic hangout. At the bottom of the church stairs, you will see the Carros de cesto dating back to 1850s. These are wicker baskets with seats on wooden skies – and an ingenious transportation means between Monte and Funchal. Due to the high inclination of the road, these wicker baskets skid over the pavement at full speed. They are maneuvered by 2 men standing each on one ski and turning or braking with their padded shoes. These basket cars take you down to Livramento (and not to downtown Funchal) about 2 kilometers from Monte. For the way up, there used to be a cog railway (see video taken in 1937 here below) which finished its activity during the second world war. There are talks, once in a while, to bring this Monte Railway back to life. Up until then, locals and tourists alike happily take the cable car up.